Oyster Bay Sparkling Cuvée Rosé | GourmanDEE - musings of a gourmand named Dee. 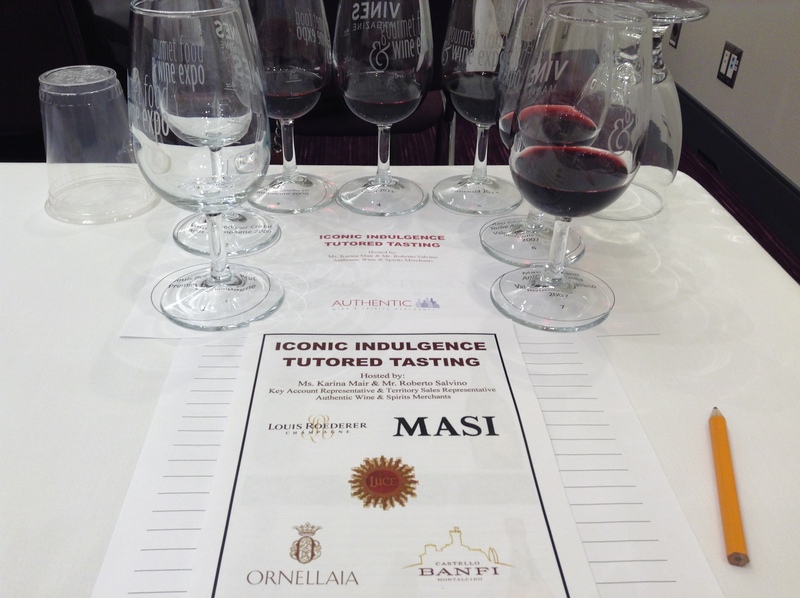 On my return visit to the expo, I signed up for the Iconic Indulgence Tutored Tasting. To read my thoughts on Day 1, click here. If you’ve never been to a tasting, this is a where each individual is seated with glasses of wine (usually one ounce each) and there is a speaker who talks about the wine and the regions. As I settled in at the table, I heard some other people oohing and aahing over the list. For me, I have heard of a few of the brands but had not tasted any of the individual bottles. I’ve learned to not be overwhelmed by the lengthy names. I just focus on the taste and try to figure out why I like it. Out of the six that I tasted, four of them (pictured above) left an impression with me. 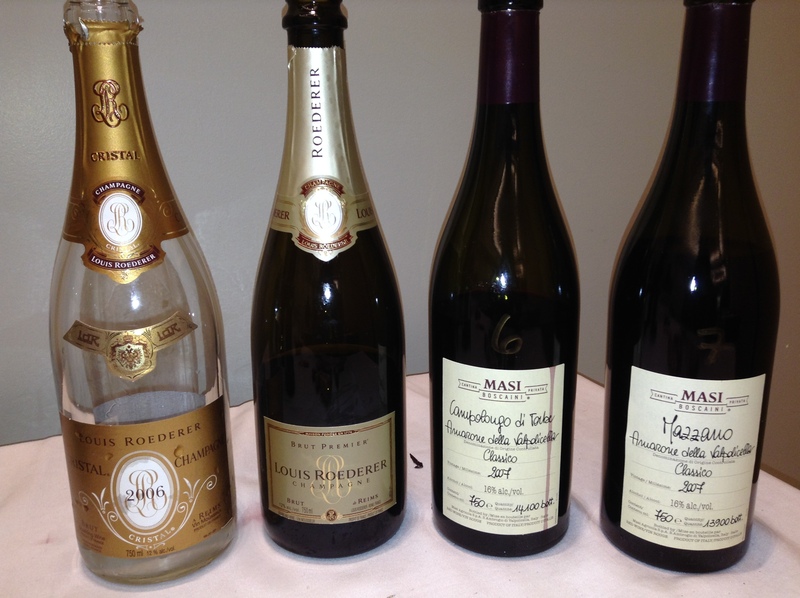 On comparing the two champagnes, it was fascinating to listen to the history of the house of Louis Roederer. Did you know that the Brut Premier is a blend of six grapes and they produce it every year while the Cristal Brut is a blend of 40% Chardonnay and 60% Pinot Noir grapes. This particular vintage is aged six years and is produced only in the best years. This definitely accounts for the distinct difference in its refined taste. The two Valpolicella’s presented are from Masi winery. Both were good and similar but for me the Masi Campolongo Di Torbe Amarone Della Valpolicella 2007 won out. This wine is 70% Corvina, 25% Rondinella and 5% Molinara compared to the Masi Mazzano Amarone Della Valpolicella Classico 2007 that is a blend of 75% Corvina, 20% Rondinella and 5% Molinara. I know this may sound a bit technical to some, but notice the slight variation of the blend of grapes in each bottle. This is what made the difference in my enjoying one wine over the other. I learned something new today! After the tasting, I headed back to the show floor for one last tipple. I ventured into the New Zealand area known for their fantastic sauvignon blancs. I usually drink Kim Crawford, Oyster Bay, Stoneleigh and Cloudy Bay at home as they are all very good. 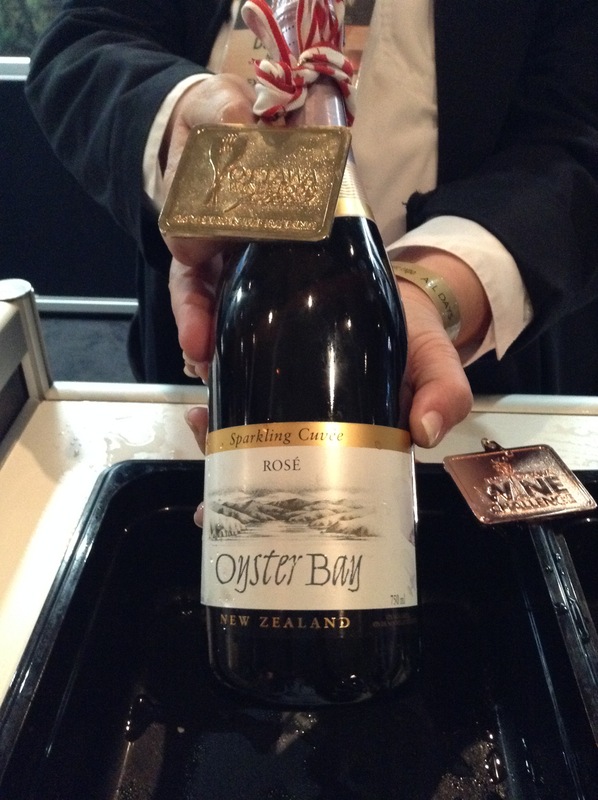 But noticed that Oyster Bay has just come out with a Sparkling Cuvée Rosé. For those who love bubbles and wine from this region, you’ll enjoy the slight taste of strawberries and cherries. Well done Oyster Bay! Because I don’t drink beer, I did not spend anytime sampling those booths but I ran into another blogger, Steve Says, and he has posted a thorough review of his favourite ales. Overall, my experience at the expo was very good as I enjoyed learning more about wine and sampling some really good food. I’m looking forward to next November.